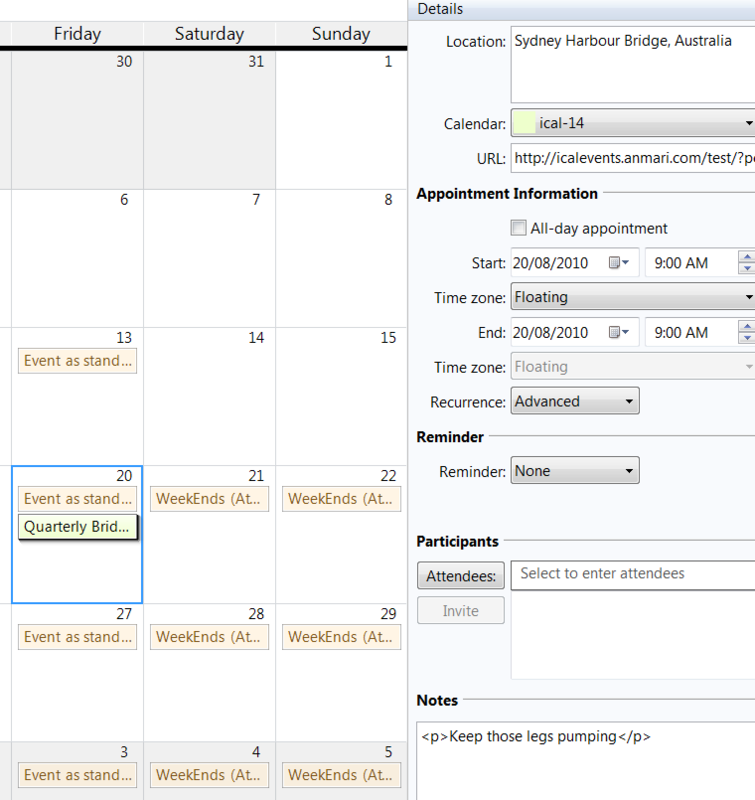 Any wordpress archive that generates an rss feed, can also be used to generate a ical feed with the amr-events plugin. Simply add ?feed=ics at the end of the url. One important difference to note is that the ics feed will list ALL events that meet the archive criteria (IE: it should return both the standard posts that have event data AND the custom post type events). Feel free to test whether the following examples will load into your favourite calendar software. Please do let me know if there is a problem (which link, which calendar program and what errors if any). Note that these are not really relevant as the standard wordpress query would access them by the date stamp – the date and time that they were created. 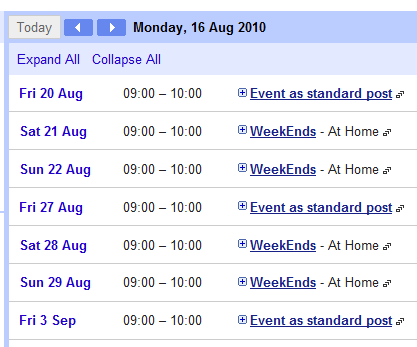 An Date based event archive is really the calendar list. The settings allow one to group events in the calendar by day, week,month,quarter, year, zodiac sign, season… With some css one could achieve some interesting calendars. I am aware of a problem directly subscribing from google calendar. It is either VERY SLOW, or reports a problem with robots.txt. Gave it a robots.txt and it doesn’t complain now when “subscribing” but events not yet showing up.) Doing some searches indicates that this is not an uncommon problem when interacting with google. 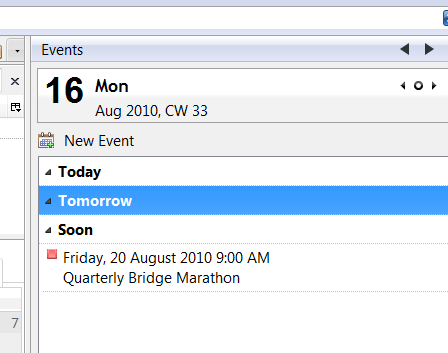 Saving the ics file and importing to the Google calendar does work however. So i guess for ease of use the “add to google” button I have may have to stay.